This unit is conveniently located to downtown Hilo within walking distance to restaurants and shops. The unit is in a small apartment complex with only six units. This is the only unit rented on a short-term basis so if you're looking for that "actually living there" feel, then this is the place for you! The unit includes a full kitchen, albeit a small size oven/range, a full bath and a loft. It is an end unit on the second floor with lots of windows to enjoy the refreshing Hilo breeze! Since this is a quiet, small complex, we ask our guests to please be considerate of others and keep noise to a minimum after 9pm. Guests can self check-in with keypad entry. Door codes are changed after each guest and the new code will be provided to you the morning of your check-in day. There is high-speed internet with wifi access for guest use. Guests are also welcome to use the provided beach gear, boogie boards, snorkel gear & towels. There is also a shared coin-operated laundry room on-site. A laundry starter kit will be provided for all guests. With self check-in available our interaction amount is completely up to you. We like to provide recommendations of our favorite spots to see and eat and will have a list waiting for you upon your arrival. Other than that, we hope you reach out to us with any questions you have! There are so many things to see and adventures to be had on the Big Island that we recommend our guests rent a car so they can see all the sights at their convenience! There is an assigned parking spot for this unit so parking won't be an issue. If you're looking for a more relaxed vacation then most of Hilo town is within walking distance and you could enjoy your time without a car as well. We moved to Big Island in 2012 and love the Hilo side of the Island. My husband and I both work here locally and manage the property ourselves. You may even see us around a time or two doing yard work or maintenance! We love kayak sailing, snorkeling, hiking, paddle boarding and recently have taken up mountain biking which has proven difficult but fun! Mountain biking over lava rock is definitely a challenge! 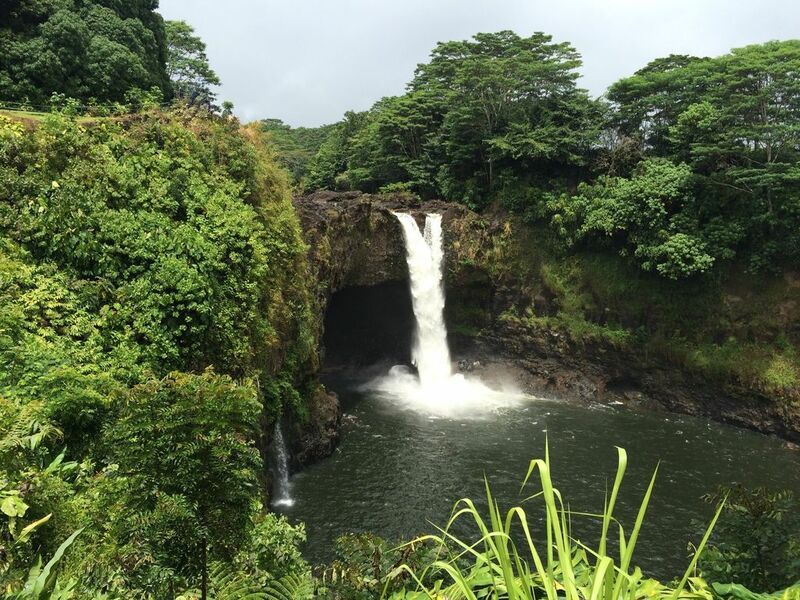 We really feel Hilo is Hawaii's best kept secret, it's surrounded by ocean and Mountain so has plenty of land and sea activities and lots of history to the town. We love the convenience of shops & restaurants while enjoying the quiet atmosphere of the town. Hilo is a good location to stay for exploring all of Big Island and still close to shops, restaurants and essentials too! We truly hope you enjoy your stay! Aloha. Built-in dining table seats 4. Boogie boards & snorkel gear. Great location. Perfect place for your visit to the big island. It was clean and in a good area. The apartment is in a very quiet neighborhood within easy walking distance to downtown shopping and dining. The kitchen is well stocked with all the utensils you could need. No A/C but plenty of fans to cool off. Had a great time! We had a great stay and House had everything we needed. The location was very close to town which was great so we could run back if we needed anything. Owners did an excellent job communicating to answer any questions promptly. Although there was no AC we found that to be a non issue as the house has many fans and the place cooled off quickly at night. Clean, only 2 coqui's, corner unit, private, conveniently close to downtown. Every utensil & small appliance we could ever need. for anything other than calls & texts! parked, that barked when we came & went. Are the other tenants long or short term? It's not often that you are able to write a review of a rental you found online and say it exceeded your expectations. The Hilo town apartment is that place! The apartment is nicer than the photos. It is quiet and comfortable and you will not be in a tourist area. The kitchen nook is a wonderful spot to plan your day and sit for you meals. You will be delighted by the lovely bird songs while you're there. The owners have thought of many amenities that will make your stay nicer. The bed is comfortable and the sheets are soft. There is coffee for your first morning, spices for your food, a cooler for your picnics. This is a nice area to walk in and it's easy to get to town. We had a great time at this condo. It was equipped with everything we needed, the kitchen especially. It was centrally located and allowed us to explore most of the island. Would definitely stay again!